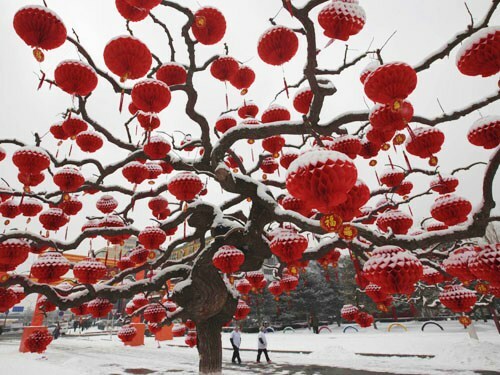 Sharing this beautiful pix from South China Morning Post/SCMP, pix from Beijing with the new snow on the paper lanterns. 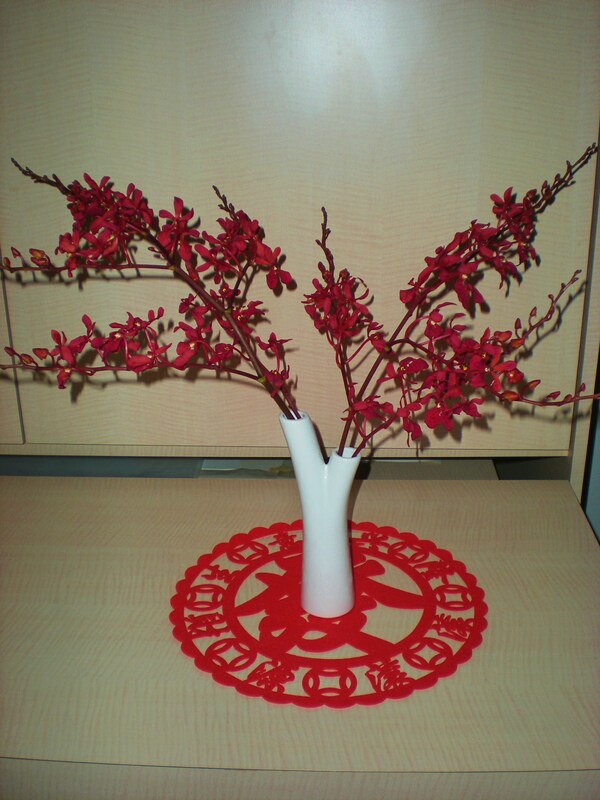 This day often marks the end of the Chinese New Year festivities. The past 15 days have been busy busy and eating eating. And now the time has arrive to take down the decorations until the Rabbit is done with its hopping into the Dragon year falling on Katy’s 10th Bday 2012! Who knows where life’s journey will be heading then! The plans for the next few months will involve much traveling. First to China/the ancestral village, then to HKG followed by N Borneo. 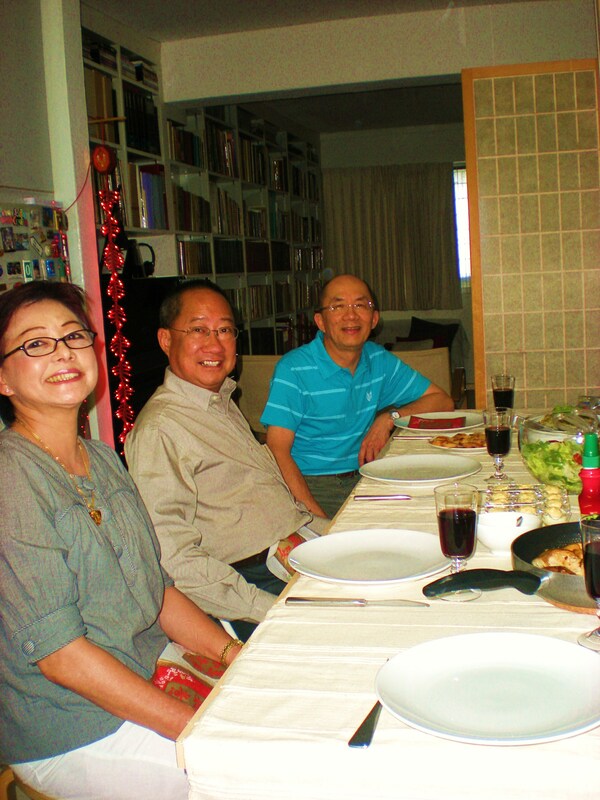 A nice gathering with Richard and July who are visiting from Sydney to celebrate the CNY and his mother’s Bday. Richard crossed my childhood path and we caught up only 2 yrs ago since 1965! He is a cousin of Pui Ah & Hong Sze. 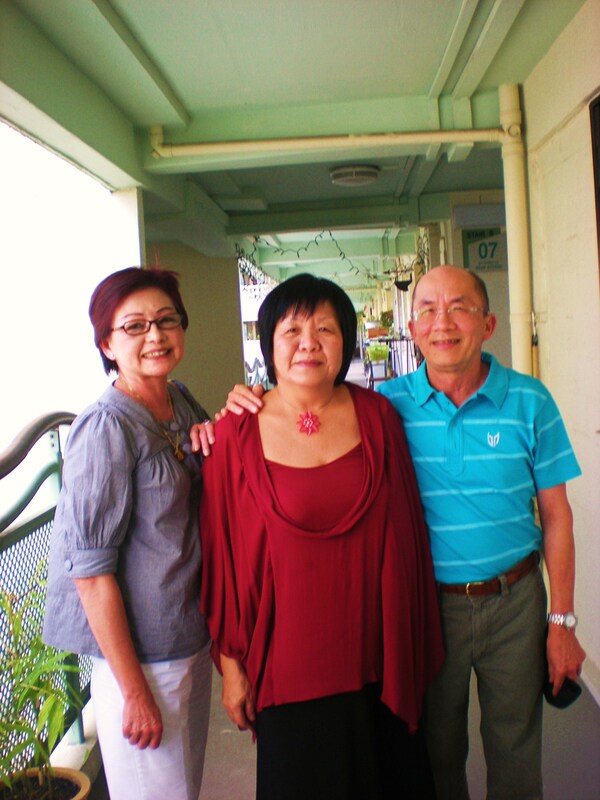 Planning to meet once more with Hong Sze, Richard & Judy before they fly back to Sydney. Have decided that we will try to meet annually if all of us are here for the CNY. Today’s lunch menu was just simple fried chicken, Italian spicy sausages, deviled eggs with pasta and salad. 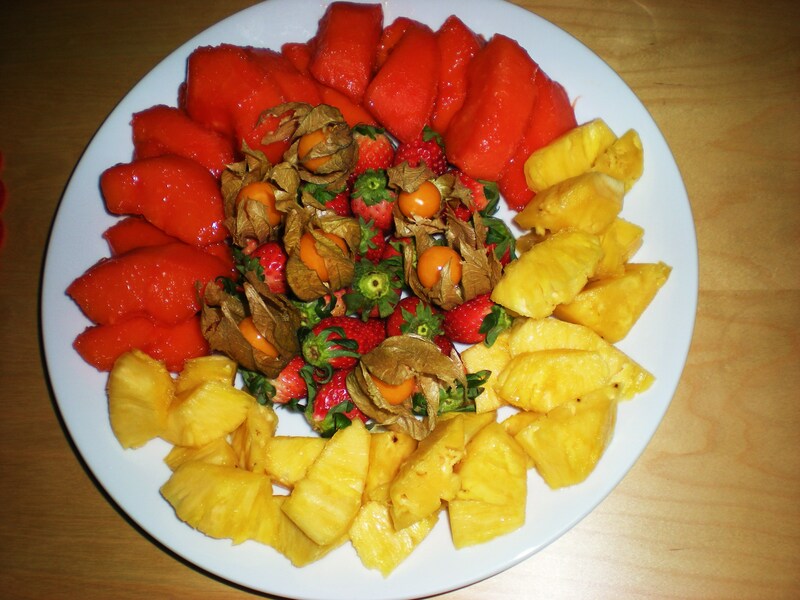 Decided to have a fruit platter for dessert, surely everyone has had enough of the CNY cookies!